CMMS (Computerized Management Maintenance Software) is the ultimate tool in a maintenance technician’s tool belt – a cure for the tedious tasks and daily issues of a maintenance department. A CMMS is the ultimate tool in a maintenance technician’s tool belt – a cure for the tedious tasks and daily issues of a maintenance department. While a maintenance technician will see immediate value in a CMMS, the decision to implement is oftentimes determined by business owners or managers. In most organizations, management isn’t likely to use a CMMS in their daily tasks; they may not think the system is a necessity. But, as our more cunning readers may have deduced from the title, a CMMS provides much more value outside of just assisting the maintenance team, it improves the entire organization! Without further ado, here are our Top Four Big Picture Benefits of a CMMS. Let’s walk through a day in the life of Marty the Maintenance Technician. Marty spends most of his day repairing manufacturing machinery assigned to him via work orders. So, in order to start his day, Marty must find said work orders. He checks his desk – but no luck, someone must have misplaced today’s work orders. Now, poor Marty has to track down his supervisor so he can reissue the work orders. After searching his sprawling facility for almost an hour, Marty finally finds him. Now, with a work order in hand, he can start his work day. Marty heads to the stock room to find the part he needs to begin his work order, but he’s not able to locate it because the stock room is loosely organized. He finds the proper place for the part but alas, it’s empty. He talks to the stock room attendant, “Yeah, that part should’ve been ordered a while ago, we didn’t know we were out,” says Dave, the stock room attendant. Marty is getting frustrated, with these constant delays he’ll have to stay late tonight. This feeling of having more issues to address than time can leave even the staunchest of technicians, like Marty, feeling overwhelmed and underappreciated. A CMMS eliminates that feeling, data is organized, problems are identified and technicians feel in control. Their tasks are scheduled in the most efficient order and their resources are easily located. This leaves employees with the assurance that they’ll be able to complete their job in a timely and satisfactory manner. It’s not rocket science that a happy employee works better; it’s just smart business. With a CMMS implemented, Marty can leave work on time. So how does a CMMS reduce waste? A CMMS will allow the user to schedule preventative maintenance. Now, Marty’s maintenance tasks become proactive instead of reactive. Just like an oil change extends the life of your car, preventative maintenance extends the life of your businesses’ assets. This means you replace fewer machines and you waste fewer parts attempting to put band-aid solutions over faulty machinery. Preventative maintenance also leads to less downtime. When you maintain a machine properly it’s less likely to break down. 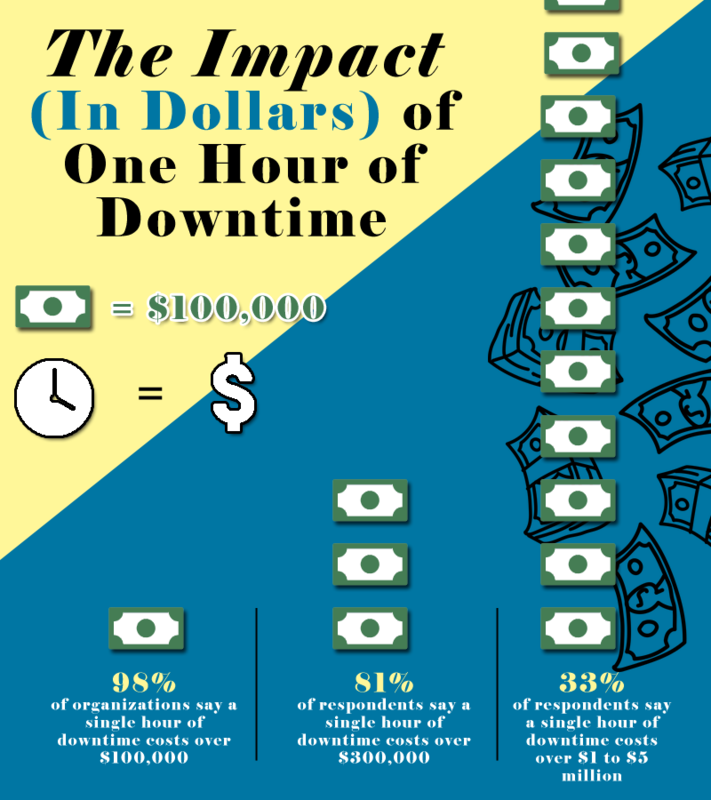 It’s pretty simple – decreased downtime equals more uptime. More uptime means more productivity. Producing more in less time equals cost savings. Our buddy, Marty, can speak extensively on workflows as his workday was not particularly efficient. Implementing a CMMS would alleviate him of his aforementioned daily issues. It eliminates the need to find physical work orders, that information is stored in a CMMS. It eliminates the need to search for inventory because a CMMS can provide a map of your stock room, and it can even order parts when they’re out of stock. It doesn’t just help Marty either, now Dave, our cavalier stockroom attendant, knows when he should order parts. Good communication is incredibly important to a maintenance team’s success and a CMMS will often act as a communication hub. All important maintenance information whether it be repairs, preventative maintenance, inventory, inventory location, or purchase orders can be managed and recorded within a CMMS. With that wealth of information now readily available, team workflows are executed in a more efficient manner. With all maintenance data stored in one place, management can now easily identify trends and issues occurring in the workplace. 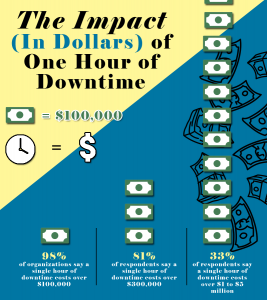 The machines causing the most downtime can be isolated and either repaired or replaced. They can identify the parts most commonly used and where employees work most efficiently. A CMMS can also record the historical data of your equipment. If your organization is required to comply with industry standards or is placed into an audit, they’ll have documentation to support compliance. There you have it, our 4 Big Picture Benefits of a CMMS; improved employee morale, less costly operations, improved workflows and productivity, and more data to make decisions with. It’s truly incredible the amount of value a CMMS can provide, not only to the employees who use it but the organization as a whole. If you’re a company that wants to reexamine how it can better position itself in a changing business landscape, look no further than a CMMS. Marty will send his thanks. Ashcom Technologies has been providing innovative CMMS (Computerized Management Maintenance Software) solutions since 1985. Ashcom was one of the first CMMS providers to develop a completely web-based “Software as a Service” (SaaS) model for more rapid implementation at a lower total cost of ownership.